Well, sad news for us who love and believe in real journalism. Radical journalist, author, and Nation columnist, Alexander Cockburn died. Cockburn wrote the Nation’s “Beat the Devil” column and later edited “CounterPunch” with Jeffrey St. Clair. I know many of you read that carefully. He was born in Scotland, grew up in Ireland. He graduated from Oxford in 1963. Cockburn wrote for many years for the Village Voice. I was a fan of that column about press and politics. He was axed out of that column, I believe, and I suspect he did believe, by those who did not like the fact that he wasn’t afraid to tell the truth about the brutal, Israeli occupation of Palestine, and how the mainstream media is afraid of that one. In 1987 he published a best selling, collection of essays “Corruptions of Empire.” He also co-wrote with Suzanna Hecht “The Fate of the Forest: Developers, Destroyers and Defenders of the Amazon.” We could go on for a long time. Laura Flanders, Laura obviously was very close to Alex. His niece, I’m sure he was incredibly proud of her. We miss him, and we’re glad Laura Flanders that you could join us to talk and remember about Alexander Cockburn. LF: Well, I really love that you are dedicating this time, Dennis. What fun, and what a better person…there’s no better person to talk with about Alexander. I mean if we can keep from crying we’re gonna have a blast, cause what an incredible, incredible man he was, journalist he was, radical he was. You know, he would want us, absolutely, to be living in his spirit. Which is that big broad grin, and that ability to poke power in the eye. I sort of thought of it, as he had the guts to poke in the eye the people that we could then kinda kick in the shins. LF: He kept space alive and open for those of us who wanted to air possibilities, articulate ideas and questions, that simply seemed to be disappearing from the discourse, from the debate. 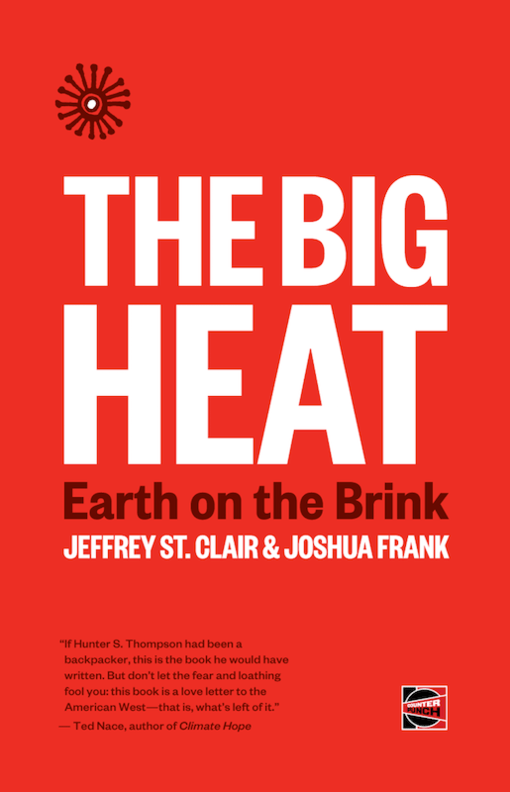 He was really I think, along with Jeffrey St. Clair, of Counter Punch, responsible for keeping alive a kind of critique that injected oxygen into what had become an incredibly dried out, dreary, he would say “narcotic” news cycle. And, you know, it’s unbearable that he’s gone, simply unbearable. And for people who, which is about everybody, didn’t know that he was sick, I’m so sorry that you should be getting such a shock. DB: But that was a decision that Alex made. I love how, I think I was reading The New York…., the L.A. Times, where they were immediately rushing to compare Alexander Cockburn and Christopher Hitchens. And literally, the columnist in the L.A. Times sorta said and they sorta did the same thing as they came close to dying. Well, they did the exact opposite things, didn’t they? LF: Yes, absolutely. I mean, that was what Alexander wanted to keep working until the end, for nothing to change in relationship to his work, to the people he loved, and to his audience. And he wanted to keep his eye on the prize, because of the incredible support he’d built at Counter Punch, with Jeffrey St. Clair and Becky Grant and so many others up there in Humboldt County, he was able to keep it working almost regardless. And that’s what he wanted to do, he finished a collection of essays, he compiled a wonderful, short book of words that should be confined to the guillotine. He had, I think, finished re-editing or re-preparing for re-publication, his father’s memoir. There’s a lot of work we’re still going to hear, see, from Alexander in the weeks, and months and years to come. I should say before I forget that Counter Punch can be read at counterpunch.org. And they just, by chance, a week or so ago, started an on air auction, that’s auctioning, among other things, photographs by Alexander, and art work that he loved, to raise money for the newsletter and the web site. So I hope that your listeners, in addition to supporting KPFA, will go to Counter Punch and see if they can pick up something classic and invaluable. DB: Well, Laura Flanders, I want you to get you to talk a little bit about your family, if you will. Talk about Claud Cockburn, the tradition of writing and critique in journalism that comes out of your family, that comes, I guess, in part through the work of Claud Cockburn. LF: Yeah, well Claud was Alexander’s father, my grandfather, is a complicated and twisted family tree. But suffice to say, sure, we were all inspired by Claud who was a journalist who came to prominence in the U.K. in the 1930’s. Among other things, had an extraordinary run covering the Spanish Civil War. And tried to bring to the public, the truth of what was happening there. Joining the republican forces, and fighting on behalf of the anti-fascist side. He also wrote a newsletter, just like Alexander, called The Week, that was THE thing that pretty much everybody that was anybody read in Europe in those years when the build up to World War II was happening, and few people were calling out fascism as it was. He was there mimeographing, on an old mimeograph machine with his wife, or partner, Patricia, a weekly broadsheet; that shouted out loud against complacency, and talked about what was happening in Berlin long before anybody else. Complete with a lot of humor. He went to write for Public Eye, the famous, British satirical magazine. And I think Alexander was inspired not just by Claud’s extraordinary freshness of voice, and courage. He loved to say that he managed as a correspondent for the London Times to interview both Roosevelt and Al Capone on the same assignment. But also, you know, he saw a man who worked hard. Got up at five every morning to, as Alexander put it, to bang away on the keys to get a story out. Alexander never missed a deadline. Alexander was working until the end, as we’ve said. And I think he got that work ethic as well. As well as a healthy disrespect for power from his father. DB: Well you came up after Alex. Were you influenced by Alexander Cockburn’s work? LF: Oh my God, a huge amount. And I’m almost ashamed to see how much the work that I was involved in the 80’s was influenced by him. I mean, one of the people, one of the things we forget is that the type of media criticism that I went on to do at Fair, the media watch group, and that has become so popular these days, whether you’re talking Media Matters or Fair, was started by Alexander. I mean his Press Clip columns at the Village Voice in those early years, the 80’s through, the 70’s through the 80’s was really the first to take a weekly look at the drivel that came out of the corporate media. And to hold it up against the light of reality and say “What gives?” And then he would tell you what gives. Talked about the interests that influenced the coverage and used language that was just so refreshingly, as I said, sort of releasing. It sort of stripped away that kind of veneer of hokus pokus, power, respect that has, I think, weighed much journalism down. And instead poked fun, but also made good sense. I was just reading a Village Voice piece he wrote in 1973 shortly after the coup in Chile where he says, you know, basically the one thing you can say about the corporate media, is they have no idea what’s going on. And he says, you know, and having written that they don’t really know what the U.S.’s role was, most in the press, the Washington Post, the New York Times, wrote that it should be assumed that the U.S. did nothing. And Alexander wrote “In the absence of evidence it might seem journalistically more responsible to assume there was American involvement.” Given the coups in Guatemala and Gayana, “there seems little reason…” he wrote “to wait for Kissinger’s memoirs or a Congressional hearing in 1984 to get the full story.” How right he was. DB: And he made a lot of people angry. He ended up being pushed out of the Village Voice. Rumors about Alexander Cockburn was taking money under the table from the Palestinians and thus writing pro-Palestinian, anti-Israel columns. You want to talk a little bit about that? LF: Well, that was, you know, that was no surprise. Sure. He was accused of having taken a grant from a foundation whose critics said it was pro-Arab. And the suggestion was that influenced his coverage. He said it was for a book, he was going to give the money back. You know, there was no place for the kind of critical reporting on Israel that he did. There was no place then, and there’s no place now. What he did was to go on and start his own media outlet, which is as you and I know, is often, you know, the one recourse that we have. It’s not an easy route. But to create independent media is what he did. It’s what inspired me, it’s probably what inspired me to create Grit T.V. and many of the other things that I’ve done. You know, freedom of the press belongs to those who own one. And if you want to be free of the shackles of the kind of censorship that he was subjected to around his Israel reporting then you have to create your own platform. You know, there’s a lot that, there are a lot of fights that Alexander picked and got into. And people will doubtless, have their favorites. I think, that there’s no question, that in his coverage of the Middle East, he raised the curtain on the kind of bias that exists in the media, the kind of, sort of cruel, casual, conventional wisdom that permitted a complete double standard around human rights abuses by the Palestinian forces and the human rights abuses by Israel. He simply drew a line in the sand and said it was unacceptable to treat two such different bench marks, these unevenly matched parties. And he wouldn’t give up on it and he was right. DB: You know every time there’s a new manager here, which is pretty often, there’s a visit from the Israeli Consulate, literally they come and have a chat with the station manager and they say “Can’t you be a little bit more reasonable? Can’t you tell Bernstein anything about balance?” You want to talk about balance? LF: If you want to talk about balance go and read Alexander’s extraordinarily hysterical parody of the McNeil Lehrer’s News Hour. You know, again, I was having a read just a few hours ago and, you know, there he is doing a parody of the famous PBS evening flagship program in which he says “This is how they would cover cannibalism.” They would have on the one hand the pro-eating people party and on the other the kind of lily livered we should really regulate eating people party. And that was what he thought. The kind of balance that is served up in the media obscures, completely, the issue at hand. He also did a parody of, you know, how PBS would have covered the crucifiction of Christ. Without ever really getting to the question of whether it’s right to crucify a man. This is the point, and again, he was talking thirty years ago, the stuff that is now, sort of popular media criticism today. But he was really the first doing it, as he did. DB: And really, that Press Clips column in the Village Voice, right in the front of it, the first two pages I believe, right after the first advertisement, there was…and everybody rushed to get it, and read it, and really, for me, it was transformational because I, I didn’t even understand how things worked at that point. And he was like a magician that showed you the tricks. LF: And he understood, he both pulled back the curtain and he also provided the kind of shot in the arm inoculation against the sort of virus of normality that inserts itself into our bloodstream. You know, he reminded you that the guff you’ve been consuming was just that, guff. You know, he would cause you to stop and think “Am I accepting drivel today that I would have rejected five years ago?” and he would say that probably the answer is probably “Yes.” Because there’s been such an uninterrupted flow of it. And I think that was partly what he gained by living where he did, in Petrolia and Humboldt County. He was very skeptical of New York, after his experience. He told me just a few months ago, you know, he left that city because he felt that it had become all about money, in the early 90’s, the late 80’s. He never trusted living in Washington. I think partly that’s what he think happened to Christopher Hitchens, too long stewing in, the sort of, melting pot of brains, surrounded power seeking influence. And he chose to live in a place that kept him in touch with a different kind of reality and I think that was also partly responsible for what some people saw as the, sort of quirkiness, to put it kindly, of some of his views. And we can talk about some of those. But he really saw how policy made in Washington played out at the local level. Whether it was around, you know, environmental regulation or other rules. He felt how it felt at the bottom and talked to people who experienced, who were on the receiving end of government policy. And I think at the end of his life that was really, I think, the clearest distinction between him and many other commentators. That he was sort of the last person writing about reality outside the beltway that actually lived outside the beltway, loved life there, and talked to people who were, you know, not other members of the pundentocracy. LF: Right. Really?….do you really want to give some of Alexander’s time to David Horowitz….? LF: Fine. You’ve said enough. I think you’ve said enough. DB: Okay. I won’t, I won’t. DB: I tell you, there are a lot of angry people and Alex made them angry for a reason. And he made them angry because again he approached subjects that they would rather hear nothing about. Laura, why don’t you….why don’t you take a moment, and talk a little bit more about the Alexander Cockburn that you knew. LF: Well, let’s talk about some of the…let’s talk about some of the conflicts. I was thinking about this today. You know, one of the ones that people have asked me about is how can he be a denier about global warming? How could he have refused to embrace the science on global warming? And, you know, on the science I am not an expert so I didn’t fight with him about it because I didn’t have my facts in place. He had a barrage of facts. But on the politics of it, I was thinking about it a lot today, and thinking, you know, he would study the words. And where many of us think in huge generalities, he got very particular. So when you talk about man made global warming he would think, I think, “Which men?” When we are talking about human causes, which humans? And he would look around, and see well whose getting blamed for global warming? When we talk about man made global warming. He would say it’s the miners, it’s the farmer driving his tractor, it’s the guy driving or making an American gas guzzling car. The same people whose lands and whose livelihoods were taken by the huge industrial agri-business, and the rapacious mining companies, are now being told that they are to blame for what’s happening in our environment. And the very same savage companies that, that set them up, sent people out to the mines, took up their family farms and put them on, to work in agri-business fields are now rigging the game one more time to their own benefit so that, you know, those very same people living around this country are being told from Washington, you know, who they can, where they can, what they can, how on their very own land. And I think many of his opinions were that way. Let’s look at exactly how this is playing out. We now have a fairly moneyed, liberal, environmental elite telling rural folks and others what they can build where they live. And he simply said something about this stinks. And more often than not, it did. And more often than not, the conflicts that he came into, I think, you know, I’m not, I won’t defend him on everything. But, I think the conflicts were often kind of cultural. You know, go back and read about Daniel Shays rebellion. There was a cultural difference between the rebels in this country who took their lead from community, locally. Made their own independent way in this incredible land of ours, as Alexander did, and those who became driven entirely by money, focused on Washington’s markets and laws. And he often found himself on the anti-market, anti-money, anti-law side of that equation. And that’s I think the best I can come to as an understanding of what brought him to the political position he ended up in. Which I think was a fairly anarchical, libertarian kind of point of view. People want to take, differ with him, go for it. He put it out there and agreed to …. you know I remember walking on the beach, that incredible beach up by the Mattole River, in Humboldt County just a few months ago. And saying “I want to learn from you how to have a tougher skin.” I take criticism, horribly. He never did. He said he learned early on that if he was going to dish it out, he should be able to take it. And he did. So, you know, it’s just a pity that people like Horowitz so rarely did fight with him in person, then instead pick up the poison pen one more time when he’s dead. DB: We’re talking sadly about Alexander Cockburn who passed away over the week-end, a columnist, a journalist, radical journalist, author for a long time of Beat the Devil in the Nation magazine. A huge hole in the world of alternative journalism should we say, real journalism, truth telling, telling it like you see it. What, what are we talking about here? What are we missing? LF: I mean, he was a radical. There’s no question. It was a radical approach. And what I mean by that was, he went to the root. He went to the root and I think as I put on my Grit T.V. site today he, you know, dug it up, dusted it off and laid it out clearly for other people to take a whack at it. That was really the charm of him which was that he, with all his incredibly erudite education, never lauded it over people but instead tried to make a point clearly enough for others to grapple with. And, you know, if they differed with him, he’ll take his hits. DB: I really think that Alex went by, …at least in part that notion that, why am I blanking on her name?….The great journalist writing in the Middle East…. DB: No, in the Middle East, in …the woman writing for… I think I have been crying too hard. For Ha’aretz Yes. LF: We’ll remember her in a second. DB: Yes, we will, And I am sorry. But what she said I can never forget. That the real job of a journalist is to monitor the centers of power and report to the people. You know whether it’s in the government, whether it’s in the corporation, in the military, wherever it is. It’s to take notes and tell the people. LF: That’s right. That’s right. I mean, one other thing that I think that people don’t know about Alexander was that in addition to being an extraordinary journalist, he was an amazing environmentalist. He lived up in Humboldt County, as I’ve mentioned, in little Petrolia, And I lived there many weeks this year, and saw a man who recycled just about everything. Put every bit of organic anything on his ground. He cared for horses, he cared for the land. He didn’t use a shred of paper, that he could avoid using. Not a paper towel in the house. He was also part of a community that held all sorts of annual rituals, many of them on his land. He endowed a local arts prize at Humboldt State College. There was a real commitment to living in a different kind of way, that he didn’t talk much about it. He wasn’t a big hippie talker but he did live and create a beloved community, of the sort that many people talk about. And many of those who criticize him and have taken time in their obituaries of him, to talk about how they differed with him, I think could learn something from actually how he treated people close up, in his daily life. He, sure, had his differences intellectually but, boy, he cared and was loyal to the end. And it was well worth something. DB: Nora BF texted name: Amira Hass. It would be great if we could go out this way. Maybe you could say something about the first time you heard and understood who Alexander Cockburn was and how you would like him to be remembered. LF: Well, I’m going to say something else. Dennis, which was that he really liked you, and the degree that he fought with you was an expression of the degree to which he liked you. He even had a pet name for you which was Thumper. And Thumper is the rabbit that beats the ground with their back feet to alert the forest that there’s danger down the track. He thought of you that way and I don’t know what kind of a hard time he gave you but it was only because he respected you deeply, deep down. DB: I had the same problem with Ginsberg, I never seemed to say the right thing at the right time. I’d ask either one of them a question and they’d say “Well, that’s not the question…”…it’s something else. Well, what’s the question? LF: Go check out the auction, people. You go to counterpunch.org. There’s great stuff to bid on. And we need CounterPunch to be around forever. Dennis Bernstein is the Executive Producer of Flashpoints on Pacifica Radio.